These fluffy bunnies of the sea are so adorable they’ll make you forget your phobia of slugs. 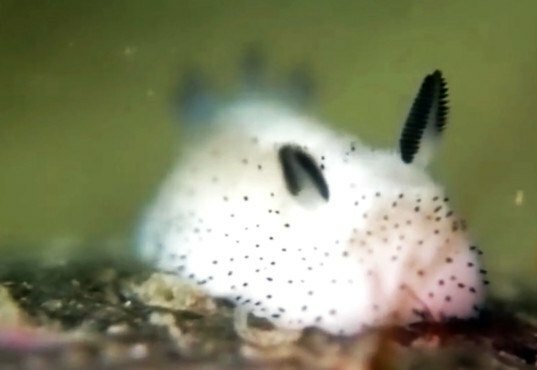 Images of the gooey cartoonish ‘sea bunny’ slugs have taken Japan’s Twitterverse by storm and it’s no surprise why—the Jorunna parva, a sea slug native to the waters of Asia, looks just like a bunny, complete with a pair of upright ears and a fluffy tail. The sea bunny has even invited comparisons to Pokemon’s Pikachu. Hit the jump to see the tiny animals in action. The Jorunna parva’s bunny-ear-like appendages are actually rhinophores, a chemosensory organ that allows the slug to detect distance, scents, and currents in the water. The appropriately named ‘sea bunny’ can be found in waters from India to Japan. Each animal grows to approximately two centimeters in length and comes in a variety of colors. The appropriately dubbed ‘sea bunny’ can be found in waters from India to Japan.
. 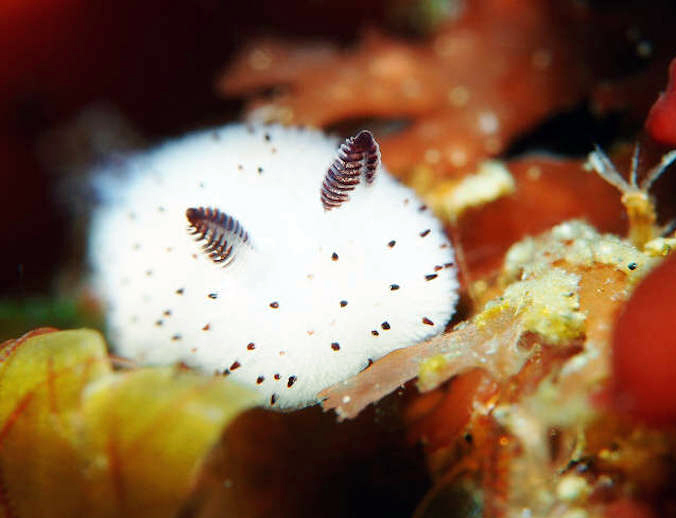 The sea bunny has even invited comparisons to Pokemon’s Pikachu. The Jorunna parva’s bunny-ear-like appendages are actually rhinophores, a chemosensory organ that allows the slug to detect distance, scents, and currents in the water. Jorunna parva, a sea slug native to the waters of Asia, looks just like a bunny, complete with a pair of upright ears and a fluffy tail. Each animal grows to approximately two centimeters in length and comes in a variety of colors. These adorable sea slugs are a type of nudibranch, a group of marine mollusks often noted for their extraordinary color and shape.